A beautiful new release, November 2018. 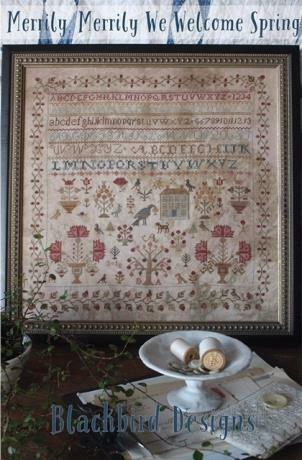 Original design based on an antique sampler, created and stitched by Alma Allen. Linen: Model worked on 36 count hand dyed linen. Weeks Dye Works: Baked Apple x 2, Bark, Chickpea, Cornsilk, Dirt Road, Dove, Mocha, Palomino x 2, Putty x 2, Raspberry, Sanguine and Swiss Chocolate. Gentle Art: Mountain Mist, Old Hickory.